There is no doubt about Hazard's impact, as he has scored 10 goals and provided 10 assists in the League so far. Meanwhile, Real Madrid's season has not gone according to plan, as their performances are far below their usual standards. They are currently 4th in LaLiga, and 10 points behind league leaders Barcelona. Eden Hazard's love for Real Madrid is no secret, as he has spoken about his admiration for Los Blancos, and his desire to play in Spain openly. He will be out of contract with Chelsea in June 2020, and has yet not renewed his contract. Meanwhile, Eden Hazard continues to lead Chelsea to success, yet flaunts his admiration for Los Blancos. 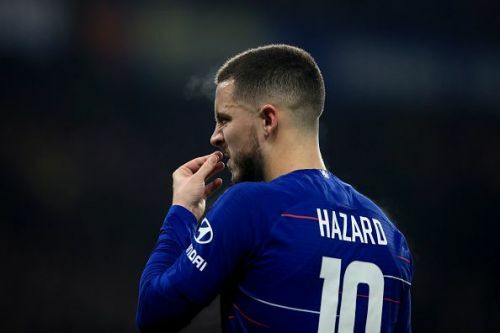 He might leave Chelsea this summer if Real Madrid comes calling.